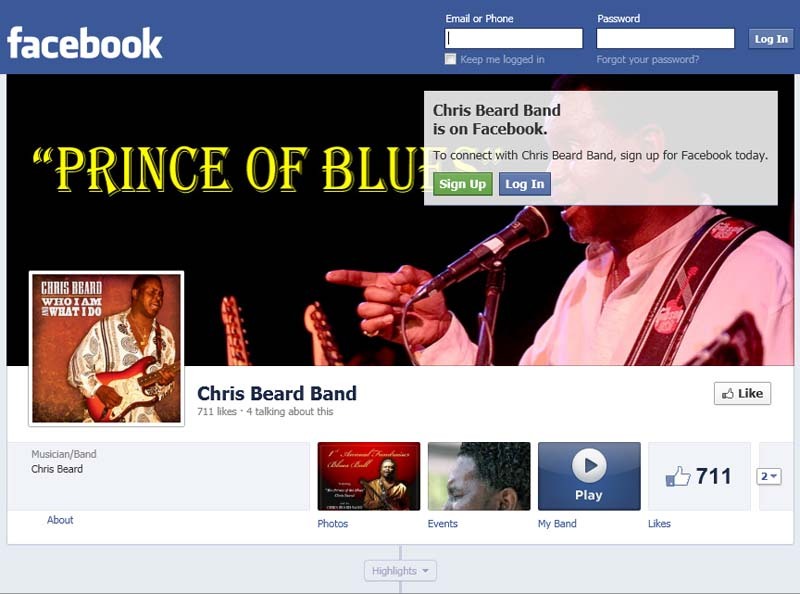 Chris Beard "The Prince of Blues"
Blues is in his blood! Son of Legendary Blue performer, Joe Beard, Chris is surely a chip-off-the-old block... but then again he's more than that. His Originals are just that... His "style"; but more than just a man, the musicians that make-up his band are equally on-par with skill and stage presence.